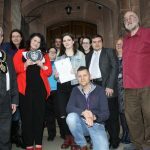 The Bay of Colwyn Town Council is delighted to announce the winners of the Bay of Colwyn Volunteer of the Year Awards for 2019. 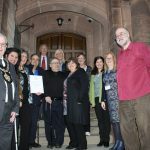 The nominations were considered by the Volunteer Awards Committee, which includes representatives from the local community and from Community and Voluntary Support Conwy (CVSC). 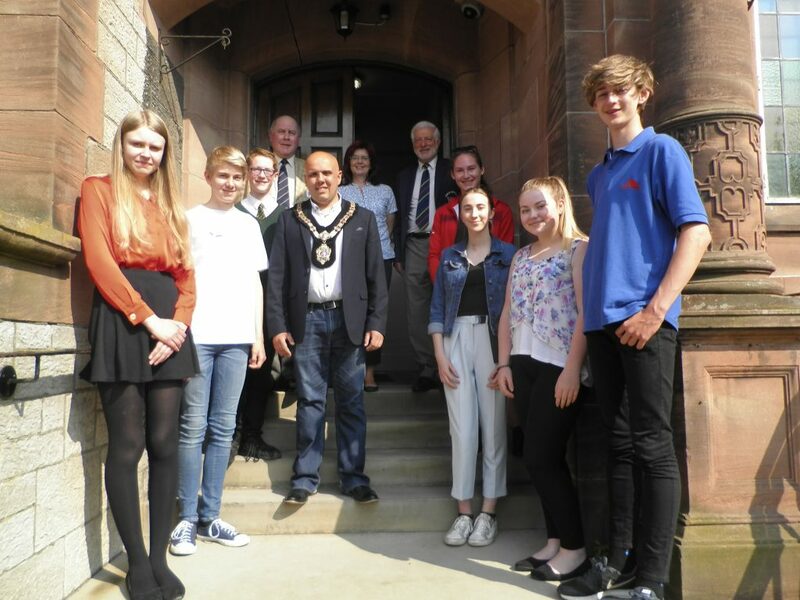 Award recipients were invited to the Town Hall last Monday evening, with the winners of each category being presented with a slate plaque and certificate by the Town Mayor, Cllr Steve Williams. Highly Commended certificates were also presented to adult volunteers Marc Spacey, Phil Batty Snr, Rachael Roberts, Dawn Wafer, Ashley Byram, Laura Smith and to group volunteers: Old Colwyn Christmas Market, Young Textile Group North Wales and Cruse Volunteers. 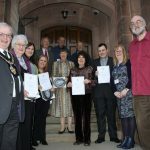 Photograph: Recipients of the Bay of Colwyn Volunteer of the Year Awards 2019 with the Mayor, Cllr Steve Williams and Mrs Ann Davies, Committee Members Cllr B Barton (Chair), G Roberts (Colwyn Bay Civic Society) and D Jones (CVSC). A new adventure play area was officially opened by pupils from Ysgol T Gwynn Jones in Old Colwyn last week. The play area, named Adventureland by schoolchildren, has been designed to provide an exercise area for local children as well as a space for the school’s PE lessons. It includes balance bars, tyre swings and climbing nets, promoting inclusive play amongst the children while having fun exercising. To make the space a real community facility, the design also includes bench seating, picnic benches and a small orchard of apple trees. The budget was put together with funding from Community and Voluntary Support Conwy (CVSC) and Bay of Colwyn Town Council, along with Section 106 contributions for developing local amenity from planning consents. 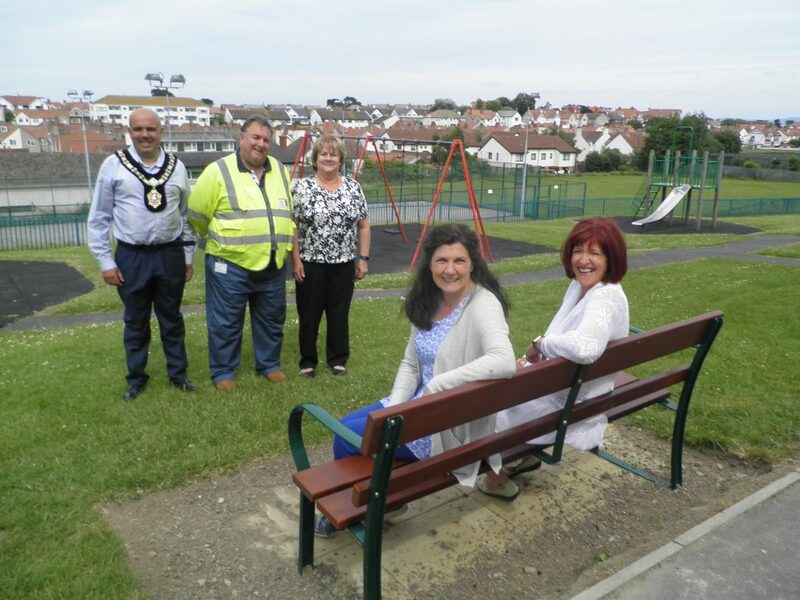 Work was carried out by Conwy County Borough Council’s Open Spaces team. Children from two classes got their hands dirty preparing a border and sowing wildflower seeds, to create a beautiful insect habitat. The school was presented with a Bee Friendly certificate from Conwy County Borough Council. Applications are invited from young persons under the age of 19 years on the 31st March 2019, and resident within the former “Borough of Colwyn Bay” i.e. 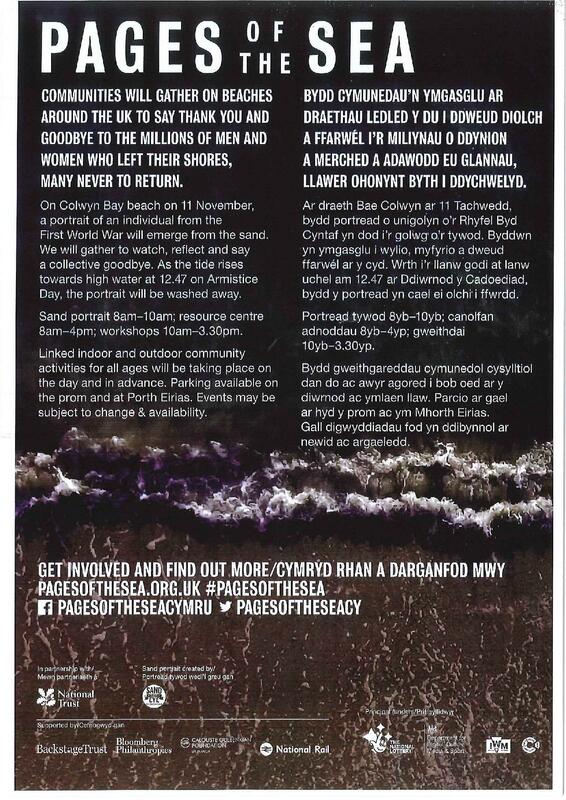 Colwyn Bay, Old Colwyn, Rhos on Sea, Llysfaen and Mochdre, for awards under the terms of the above Trust. The Awards will be available to enable young persons who have attained standards of excellence in the arts, sport, academic and research, science and technology and any other field of activity that they may feel would meet the requirements of the Trustees, to widen their experience and training. Mrs C Earley, Clerk to the Trustees, Town Hall, Rhiw Road, Colwyn Bay, LL29 7TE. Completed applications are to be returned to the above address not later than 31st March 2019. This is a very important time of the year to enjoy spending time with family and friends. But sadly this is not always the case and we need to spare a thought for the family and friends who are no longer with us and people who live in isolation and loneliness. I will be using this time to reflect on my first 6 months as the Mayor of the Bay of Colwyn and spending some quality time with my beautiful daughter Chelsea. Many of us will be working on Christmas Day and I would like to send a special message to all the Emergency Services and our Armed Forces for all their hard work and dedication in keeping us safe and helping us when we need it the most. 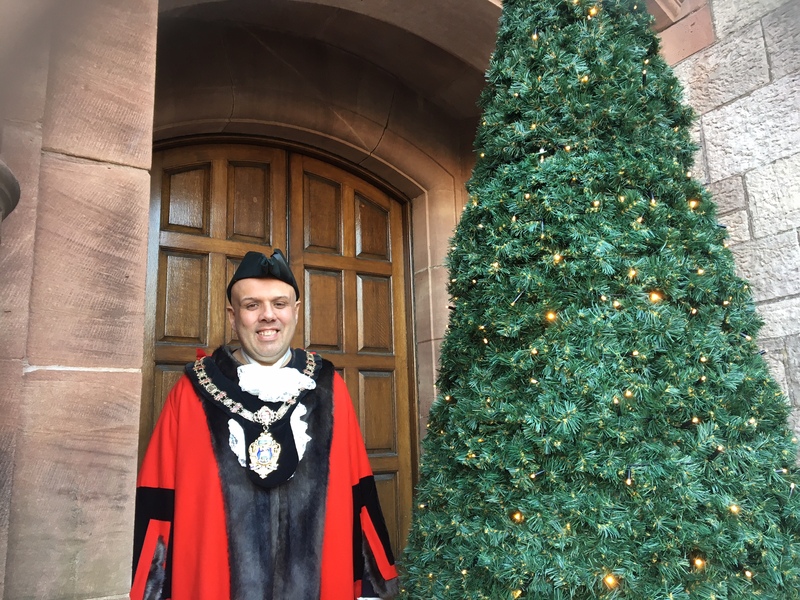 On behalf of the Bay of Colwyn Town Council, I wish you all a Merry Christmas and a happy, healthy and prosperous New Year. The Bay of Colwyn Town Council is now inviting nominations for its Volunteer of the Year Awards for 2018/19. The deadline for receipt of nominations is 31st January 2019. Notice is hereby given that the audit for the year end 31 March 2018 was completed on the 7 August 2018 and the accounts are now available for inspection by local electors in accordance with Section 29 of the Public Audit (Wales) Act 2004. The proposed event(s) must take place in the Bay of Colwyn area between May 2018 and April 2019, be open to the general public and have the potential to attract significant visitor numbers. Applicants must be able to demonstrate a successful track record in delivering events, or be willing and able to work with another organisation which can do so. A funding ‘pot’ will be set aside by the Town Council, which it is hoped will fund a number of events. The maximum funding available for any individual event is £5,000 and applicants for larger events are therefore encouraged to seek additional funding from other sources. 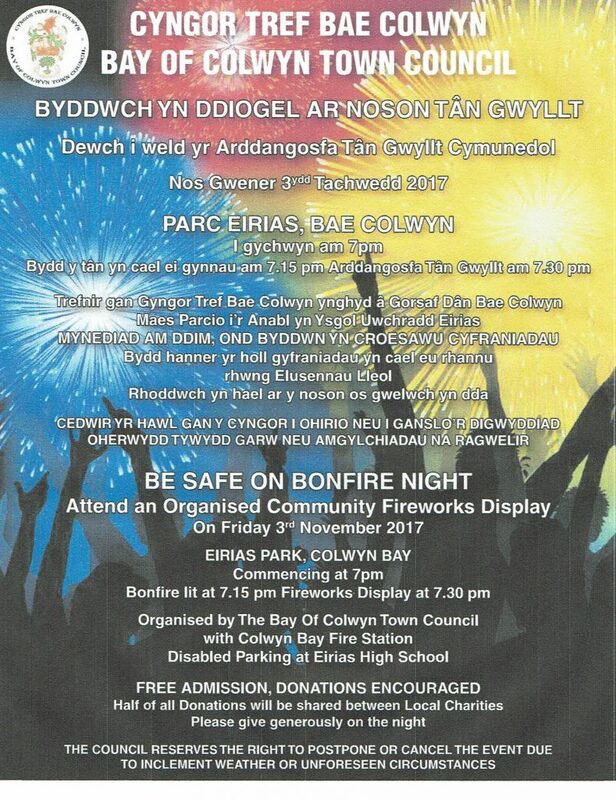 For further information and/or an application form, please contact the Town Clerk at: Town Hall, Rhiw Road, Colwyn Bay, LL29 7TE, or by email: clerk@colwyn-tc.gov.uk. Alternatively, you can download an application form and criteria form here. The closing date for applications is the 31st December 2017. All applications will be acknowledged and applicants may be contacted to present their proposals in person to a Committee of the Council at a later date. Notice is hereby given that the audit for the year ended 31 March 2017 was completed on 08 September 2017 and the accounts are now available for inspection by local electors in accordance with Section 29 of the Public Audit (Wales) Act 2004. NOTICE IS HEREBY GIVEN that 2 vacancies have occurred in the office of Councillor for the above mentioned Ward, and the Community Council intends to co-opt. To view the full notice, and its criteria, please click here. 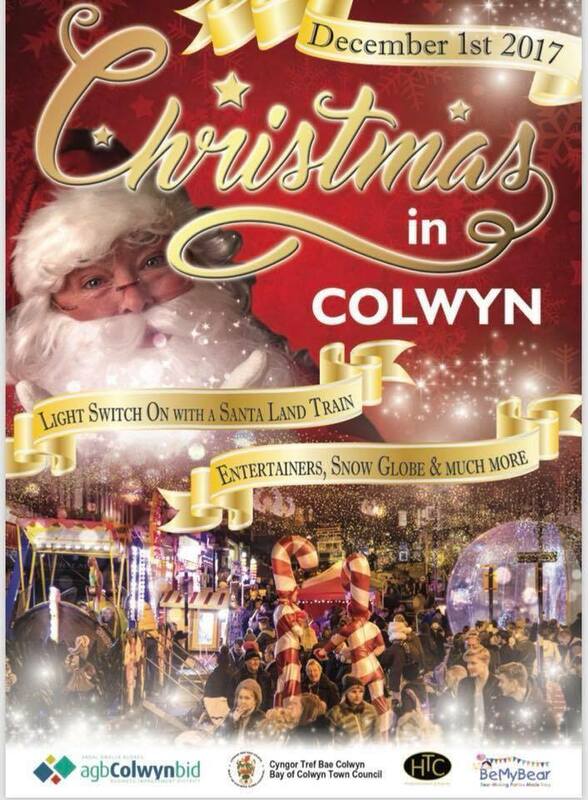 For further information, or to request an application form, please contact the Town Hall on: 01492 532248, or email: info@colwyn-tc.gov.uk. An application form can also be downloaded here. Applications need to be received by Wednesday 31st May 2017. Traders, businesses, public houses, restaurants, churches and chapels are all eligible to take advantage of this generous offer. 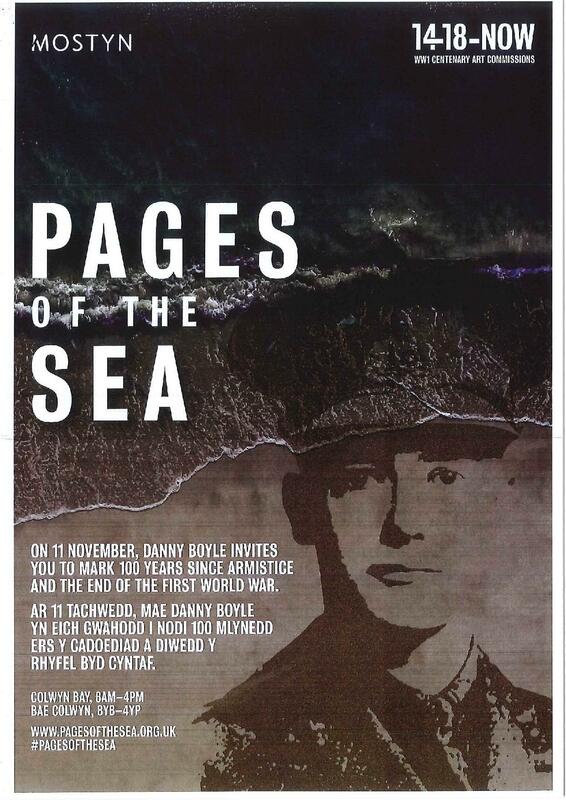 Please click here for further details and a booking form. Orders must be placed by Friday 5th May 2017. The Bay of Colwyn Town Council would like to thank residents and visitors who took part in our parking survey on the promenade last summer. This was undertaken to gauge views on and consider the likely impacts of the introduction of parking charges on the promenade by Conwy County Borough Council. Though the findings of the survey showed that the majority of local residents were opposed to the charges, visitors from further afield were less concerned. Despite the objections raised by the Town Council, on behalf of local residents, the County Council has now proceeded to issue formal notice of the introduction of charges on the section of promenade running from the Pier eastwards to the junction with Rotary Way. Tina Earley, Town Clerk, states “Though this is disappointing, we are pleased to note that our concerns were considered and the charges will only apply from 10am to 4pm and not 8am until 6pm as initially proposed. This will allow local residents to continue to use the promenade parking free of charge outside busiest times.”　The level of charges are also being kept relatively affordable, at 50 pence for up to an hour, £1 for 2 hours, £2.50 for up to 4 hours and £3.50 for over 4 hours. No charge will apply from 4pm to 10am. Members of the public have until 29th March to submit any observations or formal objections to Conwy County Borough Council. Do you care passionately about your local town? Community and town councillors represent the people living in their local area at the closest level to the community. They are elected every five years to put across the views of their local community at council meetings, monitor the effectiveness of local services and get involved in their local community, often attending meetings of local organisations such as residents associations, and taking up issues on behalf of members of the public. The next elections for Town and Community Councils across Wales will take place on Thursday 4th May 2017. The Bay of Colwyn Town Council is keen to encourage greater participation in local democracy and would like to invite prospective candidates to attend an opening evening at the Town Hall, Rhiw Road, Colwyn Bay (next door to the Police Station) at 7pm on Thursday 16th March. If you are able to give a few hours of your time each week for the benefit of your local community, please come along to find out more about the Town Council and what is involved in being a local councillor. For more information about the open evening, or about being a town councillor, please contact the Town Clerk on 01492 532248. The Bay of Colwyn Town Council will be taking part in this year’s ‘Fly a Flag for the Commonwealth’ for the first time this year. 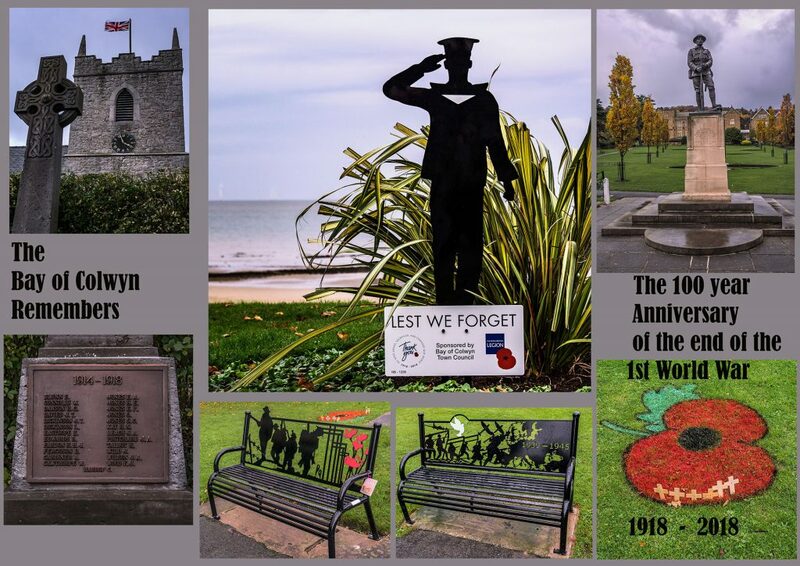 The Town Mayor, Members of the Town Council and invited representatives from local schools and other organisations will be joining over 950 other communities across the Commonwealth in raising the Commonwealth flag on the flagpole in Queens Gardens, Colwyn Bay at 10 am on Monday 13th March.